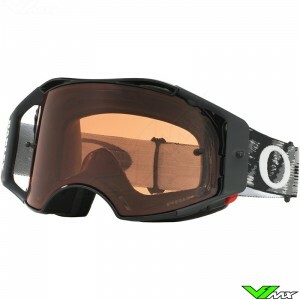 The Oakley Airbrake is designed to meet the requirements of professional motocross riders. 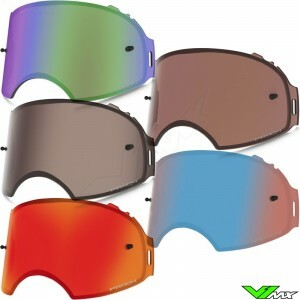 During the development the experts at Oakley have worked together with big names in the sport. 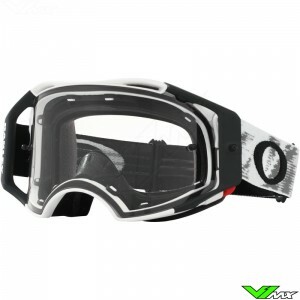 The result is a high-end motocross goggle that reaches new levels of comfort, vision and protection. 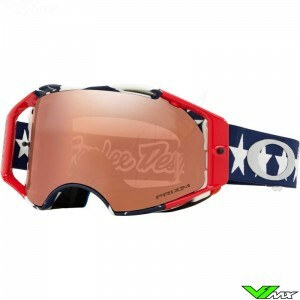 Riders like Ken Roczen, Eli Tomac, Jeffrey Herlings and Chad Reed all use the Oakley Airbrake to battle for the win. The Airbrake is one of the most advanced motocross eyewear ever made. The most important features are explained below. 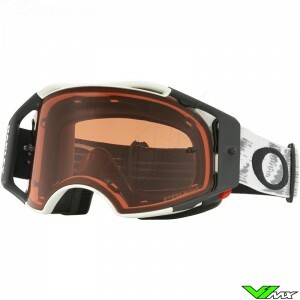 The Oakley Airbrake can be equipped with a unique roll-off system. The roll-off system can be mounted on the outriggers for easy use and maximum field of view. The 50mm high system ensures maximum field of vision, even in muddy conditions. You can choose to buy the Airbrake with a pre-installed roll-off system, ready to use out of the box. It is also possible to buy the system separately. 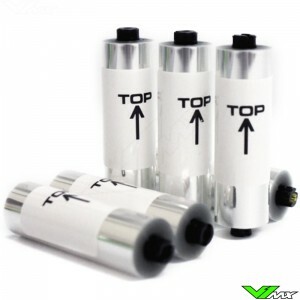 A complete kit contains a roll-off roll, mudguard, anti-friction system and the canisters with covers. To make changing a lens easier, Oakley has developed the Switchlock system. The Switchlock system consists of a dual latch on both sides of the motocross goggle. 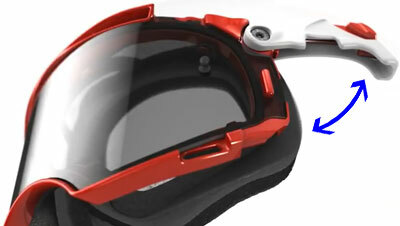 With two simple movements the lens can be removed from the motocross goggle, to replace it with the desired lens color. Another advantaged of the system is the excellent fixation, which ensure your eyes are well protected. The Airbrake consists of many replaceable parts. Do you need replacement parts for these goggles? 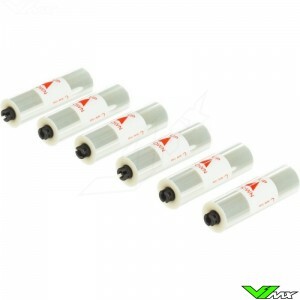 Feel free to contact the V1mx customer service. The Oakley Airbrake is made from ultra-strong and lightweight O-matter combined with flexible urethane. The strong frame keeps the lens in position, so that visual distortions do not occur. A soft foam plate ensures a comfortable fit on your face. The foam consists of 3 layers that work together to provide a comfortable fit. The first layer is made of soft fleece, which ensure maximum sweat absorption. The sweat is then drained to the other layers where it will evaporate quickly. The facial foam provides a good seal, so sand and dust will not enter the goggles while riding. 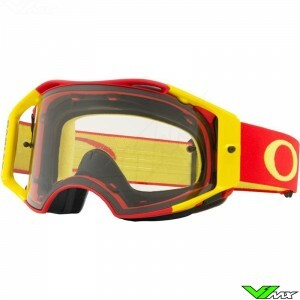 Protection is an important feature of a motocross goggle. 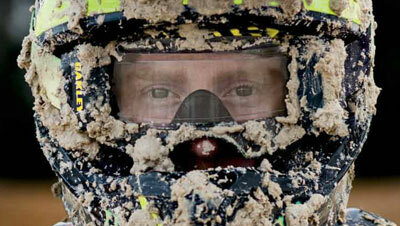 With flying sand, mud and even stones it is necessary that the lens of the goggle is strong. 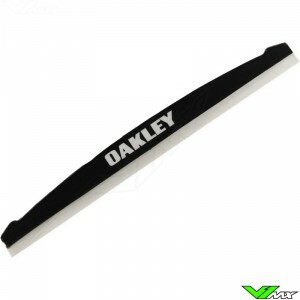 Oakley therefore used Plutonite, a very strong material that has a high impact resistance. Another advantage of the Plutonite lens is the visual purity. 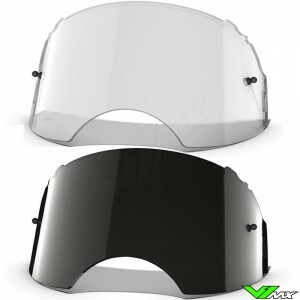 By using this material in combination with a pre-curved lens, the Oakley Airbrake has no visual distortions. 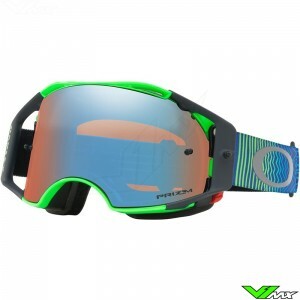 A recent innovation in lens technology of the Oakley motocross goggles are the Prizm lenses. These unique lenses filter the light so you can see more contrast and thereby respond better to new situations on the motocross track. 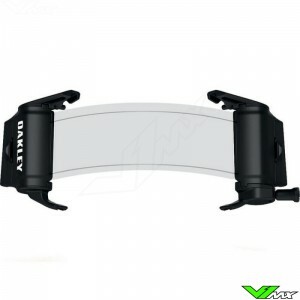 V1mx also has accessories available for the Oakley Airbrake. The most popular addition to the airbrake is a roll-off kit, because of the large field of view. 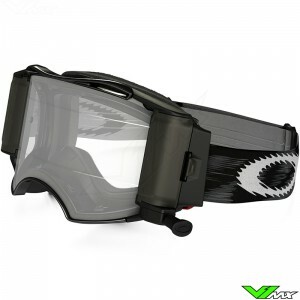 Of all motocross goggles with roll-off system on the market, the Airbrake together with the Scott Prospect have the largest roll-off available. With the Roll-off, you can maintain good visibility even in muddy and dusty conditions. You can also choose tear-offs to remove mud from the lens. Many of the replacement parts can be ordered on request. 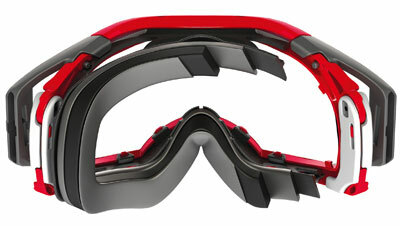 When designing the Airbrake, Oakley has collaborated with different companies and athletes. One of these companies is Troy Lee Designs. 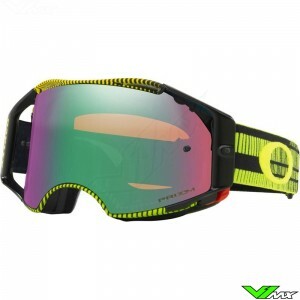 Each year, new Oakley Airbrake Troy Lee Designs goggles are released with the unique TLD style. 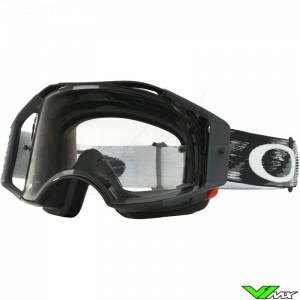 There are also professional motocross riders who have their own Oakley Airbrake signature series. The designs are regularly updated so check out the range at V1mx and keep up to date with all the new versions. 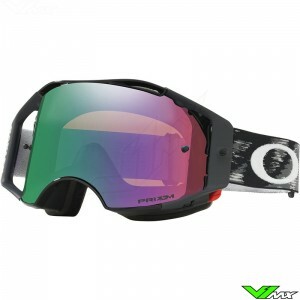 Do you have questions about the Oakley Airbrake? Feel free to contact us, we will be happy to assist you choosing the right motocross gear. 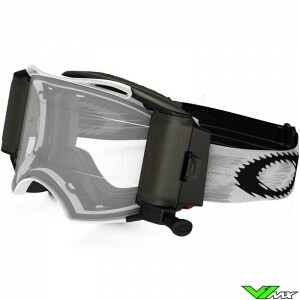 V1mx has a wide range of motocross goggles, so there is always one that will meet your requirements.